Why Is My Consultation Appointment So Long? Thinking about braces, or maybe your general dentist recommended you see an Orthodontist for an evaluation and consultation. Don’t let the prospect of you or your child starting braces overwhelm you. Learning about all the steps in the orthodontic process will make it stress free, and it all begins with your complimentary consultation at Studebaker Orthodontics. There’s a lot to discuss at this first appointment and we are here to help. The orthodontic consultation is the first step toward achieving your very best smile. The length of your consultation depends on a few things. The complexity of your case is a huge factor. There may be multiple phases or steps necessary in the treatment. 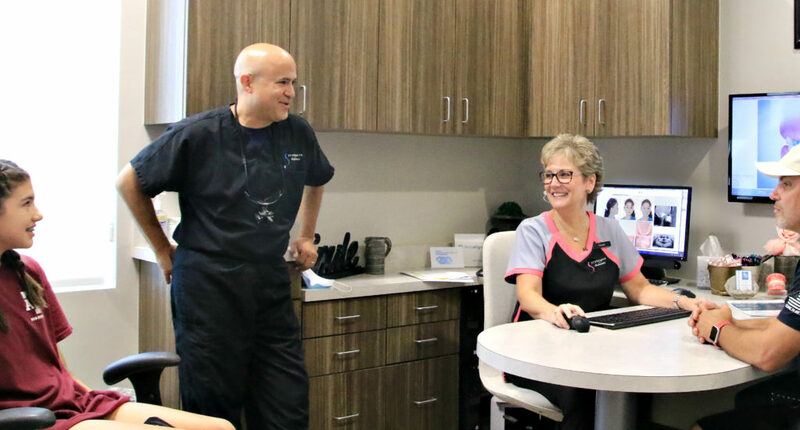 The goal of your consultation is for you to learn more about our practice and your potential treatment plan, and for us to learn about you and your teeth. The consultation will usually take about 1 hour. During your consultation we will perform the following steps. During your consultation it is important to make sure all of your questions are answered about the proposed treatment plan. Dr. Studebaker, a board certified orthodontist, will evaluate every patient and provide the treatment plan that best fits your needs. Having a great smile, with healthy teeth, gums and jaw is an investment that will last you the rest of your life. We provide orthodontics to children, teens and adults. We invite you to schedule your complimentary consultation with Studebaker Orthodontics at, 281-251-9229 today.